Baby Sign Language Classes - Oregon, Portland, etc. 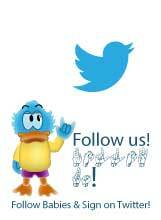 Are you a busy mom, dad, grandparent, educator,caregiver or daycare center? Have no time to spare? Then the Baby Signing 101 Workshop is for YOU! 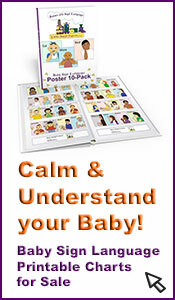 Learning to sign with your baby is simple and you can learn all you need to know in one session. During this workshop, you will learn specific how-to information, invaluable tips & techniques based on how baby’s brain works, activities & games to promote verbal language & get a baby signing dictionary with over 80 helpful signs as well as a journal! 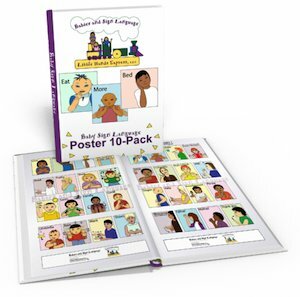 Many people know American Sign Language including caregivers at daycare centers and why not give your child a head start on being bilingual? Private Workshops & Consultations are available as well. Check www.TinyTalkersPortland.com for more details. Details about business, classes, and discounts: PDX Loves Signing teaches the Signing Time and Baby Signing Time curricula created by those behind the Emmy-nominated PBS show and teaches her students real American Sign Language (ASL) vocabulary. As a Master Instructor and the Associate Director of the Northwest Region (OR, WA, ID, MT, WY, ND and SD), Carissa works with not only infants, but with children of all ages as well as adults. 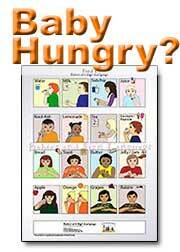 She also has experience teaching signs to children with speech delays and special needs. Details about business, classes, and discounts: Sign, sing, play AND learn about your baby's development and strategies to foster successful communication. Our classes go way beyond MILK, MORE and ALL DONE. In our engaging courses, you will learn how to sign easily during your day, increase the intimacy of your interactions, enhance concept development, decrease tantrums and learn to understand how your baby sees & enjoys her world. Our baby sign language classes are designed and taught by nationally and state licensed Speech-Language Pathologists and Early Childhood Specialists who have extensive training in child speech & language development. Our instructors' insight and years of experience make our classes fun, motivating and educational! Details about business, classes, and discounts: There are 4, 4 week sessions available for $49 each. No extra charge for siblings. Each session is based on a different Baby Signing Time DVD. We will play games, sing songs (and sign along, of course), make friends, and have a great time! Fees: $49 per session, with a 10% discount if you sign up for the next session before the end of your current session. For the grand opening in January, the first session will be only $39! Details about business, classes, and discounts: Serving Portland and Surrounding Areas and offering classes for families, caregivers, and teachers. Fees: Fees vary depending on services. Contact Maria to find the best fit for your situation. 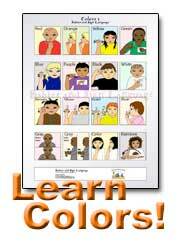 Return from "Baby Sign Classes in Oregon" to "Babies and Sign Language home page"